Joanne Emmons founded PCINJ in the summer of 2011 with Co-Founders Pat Kibby and Mike Pabian. After having successfully worked together on another team, they realized they had a common dedication to the field of paranormal research and to their clients and built PCINJ out of that dedication. Today PCINJ is a client-focused team run jointly by Joanne and Pat. 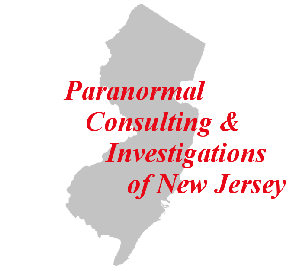 PCINJ is a group of paranormal researchers and investigators dedicated to helping others understand and cope with ghosts, hauntings, or any other paranormal problems they may be experiencing. We bring with us a blend of knowledge, experience, skepticism, belief and science. We have found that often people just need someone in the field to talk to about what is happening in their home or business. It is common for one or more individuals in a household to be more impacted by activity, and one of the ways we can often help is by giving them the information and evidence they need to feel validated. View our web site or request an investigation or consultation at PCINJ.org. There is never a charge for any of our services. Listen to PCINJ Founder Pat Kibby host Famously Haunted on Paranormal Live Radio! Chris Mancuso (SCARED! 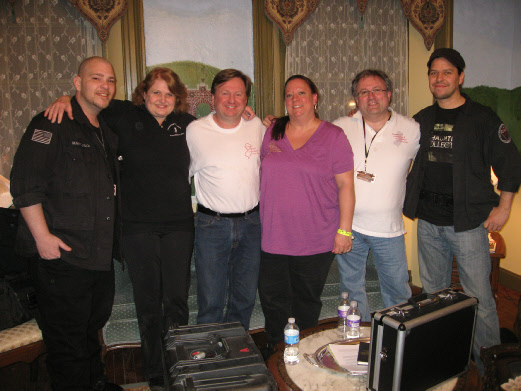 ), Joanne Emmons (PCINJ Founder), Mike Kibby (PCINJ Tech Manager), Pat Kibby (PCINJ Co-Founder), Mike Pabian (PCINJ Co-Founder), and Brian Cano (Haunted Collector and SCARED! ), after an investigation of the Tillie Pierce House in Gettysburg.